Villanova is highly ranked in our 2018 survey and Eric Hamberger, Director, Online Graduate Programs, recently shared with us how Villanova stands out with all courses being taught by full-time faculty, ensuring the highest quality instruction. Villanova is highly ranked in our survey (#2 for Catholic, #12 for private school). Can you share with us how Villanova maintains such high quality education online? Villanova’s success in delivering a high quality online MBA program was predicated on the unwavering commitment of our full-time faculty. From the very beginning they insisted that our OMBA program match the rigor and quality of our campus programs. As a result, online instruction has become a key part of professional duties. While Villanova’s OMBA student population is quite diverse, one common attribute we see is significant work experience upon enrollment (10+ years). And this combination of diversity and professional experience creates an incredibly dynamic learning environment. Villanova classes typically have 20 students or less--is that the same for the online MBA program and why is that key for quality instruction? The average class size for our online MBA Program is 21 students, which closely mirrors our campus classes. Smaller class sizes are critical to fulfilling a critical imperative at the Villanova School of Business (VSB) – empowering students to share their voice by giving them the space they need to be heard. While our students have the option to commit to a cohort-like schedule for the entirety of the program, we also understand that they have duties and responsibilities that extend far beyond the classroom. As a result, we have built a web-based educational infrastructure and scheduling process that allows for flexibility when needed. All courses in the program have a live web-based class session each week, and all sessions are led by the faculty of record. And this is an important point when it comes to interaction with our faculty at VSB, as we do not use teaching assistants in ANY course in our program. Which brings us back to how we have been successful in delivering a high quality MBA program online – our full-time faculty are heavily involved. Do all students participate in study abroad? What global communities are available to students? All students in our program complete a capstone practicum in global business which includes traveling abroad to study emerging economies. And while the cost of this trip is included in tuition and completion of the course is mandatory, students are not forced to travel if they have professional or personal conflicts. In addition, students can pursue a specialization in international business through a wide range of elective courses. What is unique about the structure of Villanova's online MBA program? The structure of the OMBA program includes a standard course length of eight weeks, while our practica extend across entire semesters. All course materials are available for download and live classes are recorded for on-demand consumption. These are just a few ways in which we support the busy schedules of our students. While career services at many universities are tailored to their undergraduate population, we have career service professionals at Villanova that are fully dedicated to our graduate business students. Their offices are located in VSB, and they work tirelessly to help our students achieve their career goals. I tell all of our candidates to consider their personal support networks when applying to our program. No one truly earns their MBA alone, so talking about the challenges and rewards of our program with family and friends is something I encourage all applicants to do before they start. Why should a prospective MBA candidate choose Villanova? 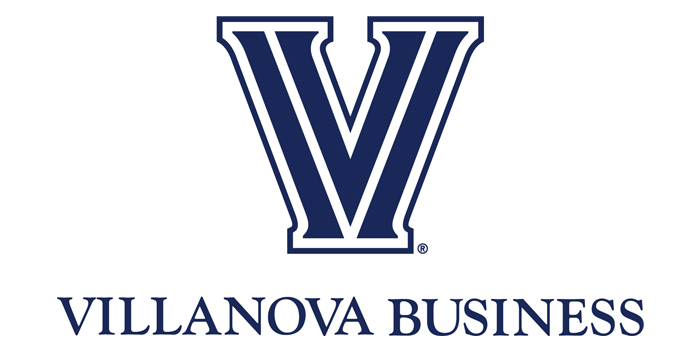 While there are great reasons to choose Villanova for their OMBA, I would highlight the direct connection between our mission – creating business leaders for a better world – and our curriculum. As a student in this program you will consult for an entire semester with an organization dedicated to serving the common good. This opportunity to give back to the community by leveraging the business skills acquired in the program is truly unique and one that has transformed the lives of many of our students.